Yankee's description - 'A Fresh, clean mixture of gentle lemongrass and just-cut ginger - pure relaxation.' The first scent on the list is Lemongrass and Ginger. This is a lovely fresh scent and has the bitterness of the lemongrass but isn't overpowering because the ginger holds it back. I love burning this scent on a warm, bright day because it really just makes me feel happy and bright. 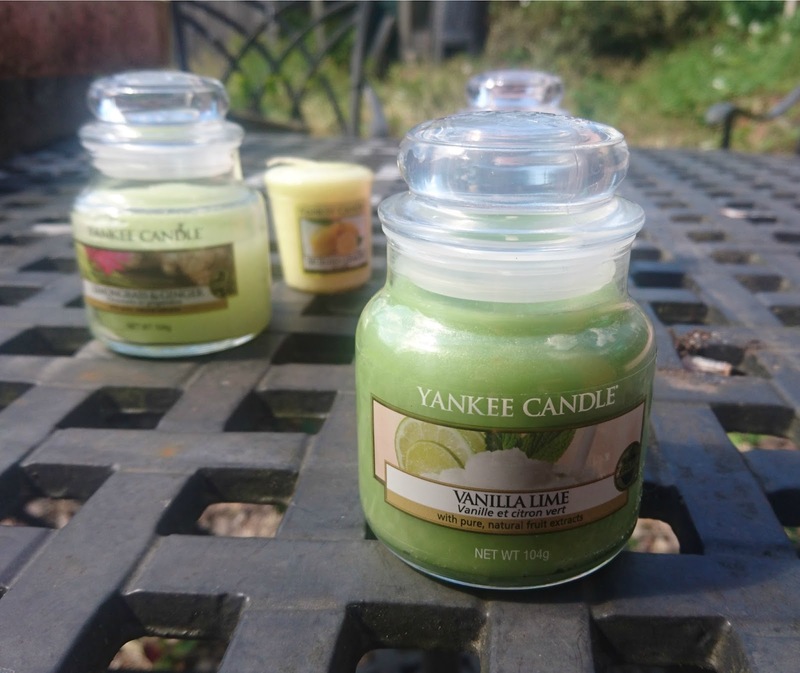 'Smooth and refreshing, the creamy richness of vanilla with sweet cane sugar and a zesty lime twist.' Next up is Vanilla and Lime. 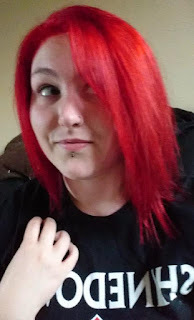 This one was one of my moms favourites too. Similar to the Lemongrass and Ginger, the bitterness of the lime keeps it smelling fresh but the vanilla tones it down and gives it that beautiful sweet, sugary smell that you can't help but love in the warmer months of the year. 'An enchanting armful of spring's freshest blooms that turns any room pink and happy.' 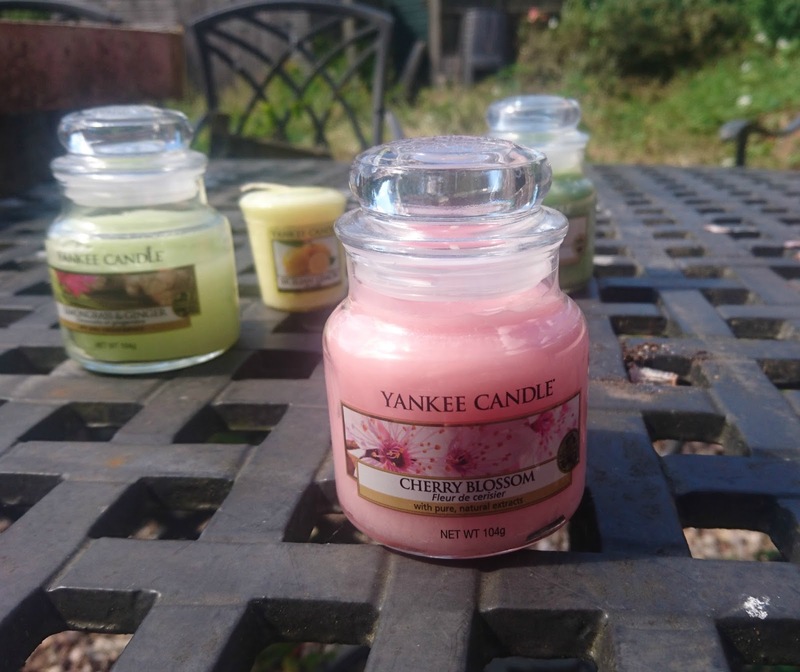 Cherry Blossom is a scent that I have recently done a quick review on (link here if you want to read it) so I won't go on too much about this one. It is beautifully sweet and isn't as musky as other floral scents. 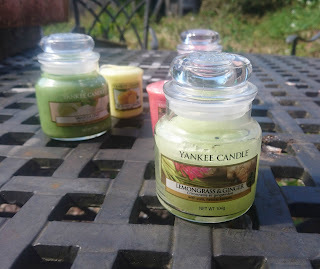 It mixes together the fruit and floral scent and I think this is such a calming fragrance that works brilliantly on any days throughout the summer. 'A bright and sunny citrus, perfectly ripe, with a naturally sweet and refreshing scent.' As you might have noticed, one of my favourite scents is citrus fruits, and the next scent doesn't change that! 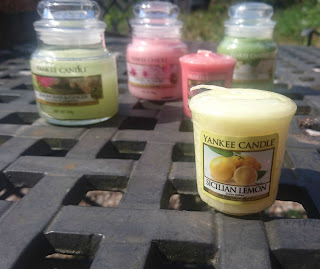 Next up is Sicilian Lemon and although it does sometimes smell a little bit like kitchen cleaner I can't help but burn it in the summer time. There is just something classic about lemon and I think it really freshens a room up in the summer time. 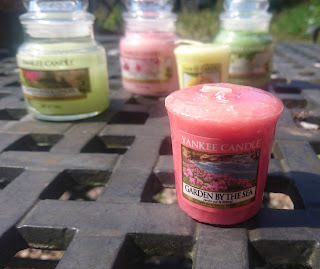 'A delicate floral scent with oceanside blooms and bright bundles of sea thrift.' Last up is a new addition to my favourites, it is Garden By the Sea. This is another floral one and honestly I can't describe how nice this smells. When I originally saw the name I thought I would really dislike it, as seaside scents tend to have a salty/musky part to them which I'm really not to keen on. This isn't the case for Garden however! It mixes lots of different floral scents together and does have a seaside feel to it, without the muskiness (or the scent of fish...). Have you tried any of these scented candles? 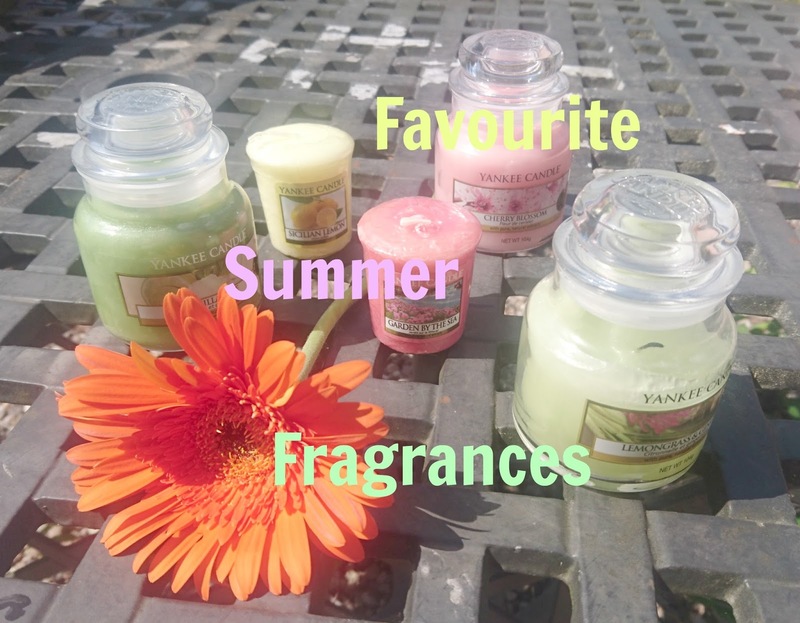 What are your favourite scents for the summer? Let me know!